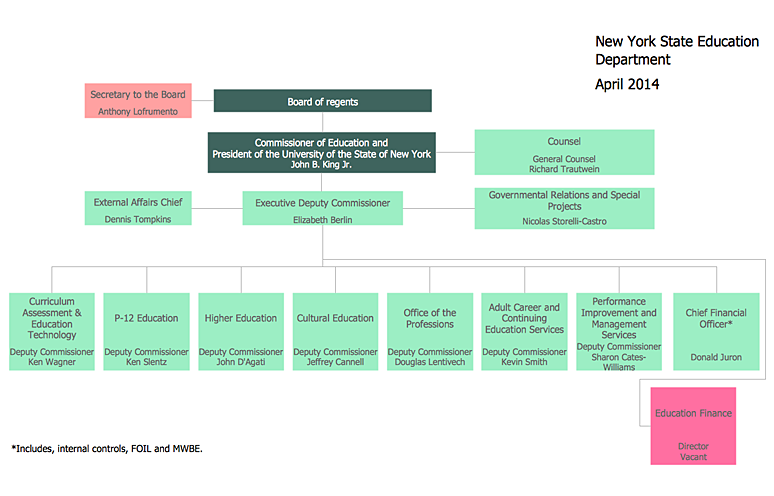 This organization chart sample was created on the base of the figure from the website of New York State Education Department (NYSED). 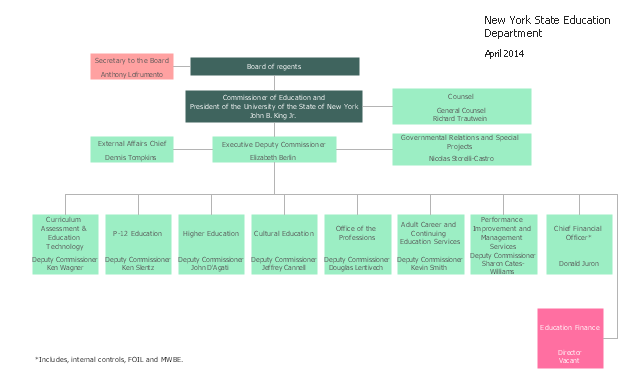 "The New York State Education Department is part of the University of the State of New York (USNY), one of the most complete, interconnected systems of educational services in the United States." 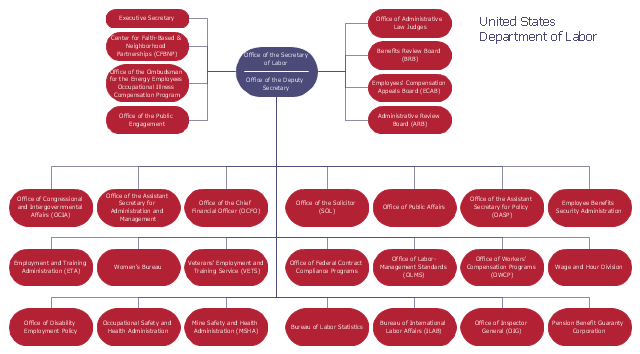 "The United States Department of Labor (DOL) is a cabinet-level department of the U.S. federal government responsible for occupational safety, wage and hour standards, unemployment insurance benefits, re-employment services, and some economic statistics; many U.S. states also have such departments. The department is headed by the U.S. Secretary of Labor.